Welcome to Our Creative Corner's "Hey Chickadee!" Inspiration Challenge! Thanks so much to everyone who kicked off 2011 by participating in our first challenge of the new year. We're so excited that you have stopped by today. Wendy Janson will be hosting our January challenges and she has a great line-up of challenges for the month. 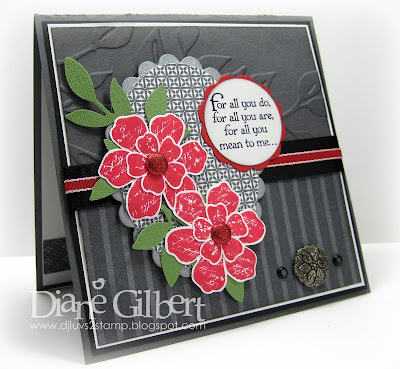 Before we get to this week's challenge, we wanted to feature one of our entries from last week. This week's Featured Stamper is Sharon Wheet of Designs by Sharon. 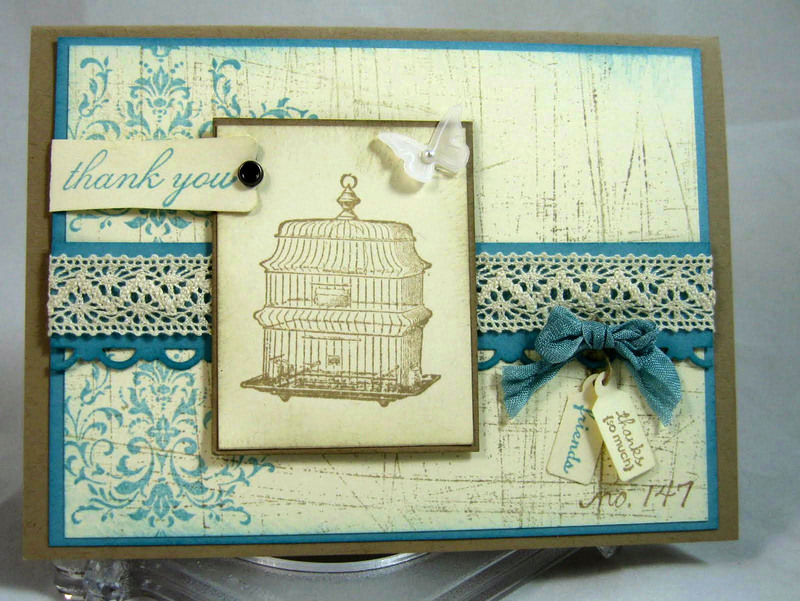 Here is her lovely entry for last week's Thank You Recipe Challenge. 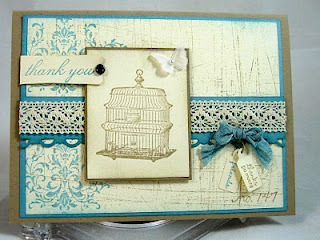 Hope you will all stop by her blog and check out the rest of Sharon's beautiful work. Don't forget, we still have another week to apply for our design team. The call is open through January 14th. We are looking for five new designers for a six month term - February 1st through July 31st. One of them could be you! Click on the page link above for the DT requirements and how to apply. Our challenge to you this week is to use the image below for your project inspiration. For example, you could use birds, winter, colors, berries, etc. as your inspiration. Everyone is welcome to play along at any time. If you upload your card/project to SCS, please uses the keyword OCCC. Check out what the Design Team has created! Our January host will start us off. 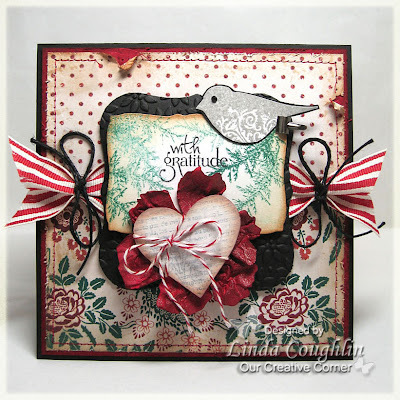 Wonderful inspiration challenge! I love the beautiful chickadee photo! 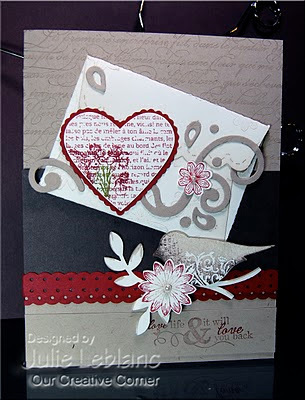 Gorgeous cards from the DT! Thanks for the inspiration! Oh WOW~ the DT have all done such amazingly beautiful work! I love all the cards I can't even pick one fav! wow wow wow! I follow your blog. 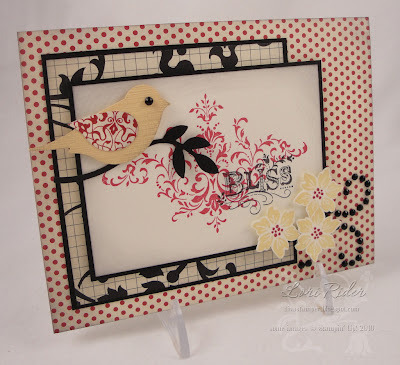 Good Luck to all the entries.......I love birds..
Bird cards are always so pretty to make, and the DT cards are fab. I have re-posted my entry to leave a direct link. I am new at challenges and I don't understand how to post for them yet. Please be patient with me. I knew I had to enter when I saw the chickadee photo. Thanks for the inspiration. I'll check back tomorrow to see if the linky is working. Fantastic cards by the DT ladies...TFS. sorry about that- hope I can still be considered. Tried to link my card but the collection is closed. Hope I can still be considered. 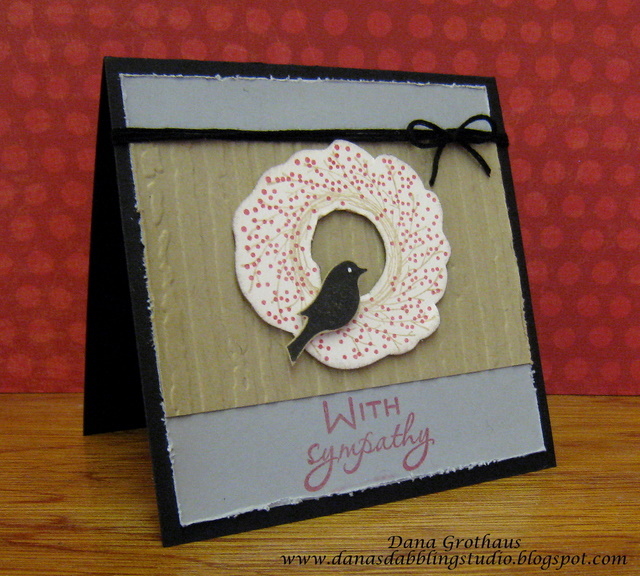 My blog is http://stampinwithsimplicity.blogspot.com/.